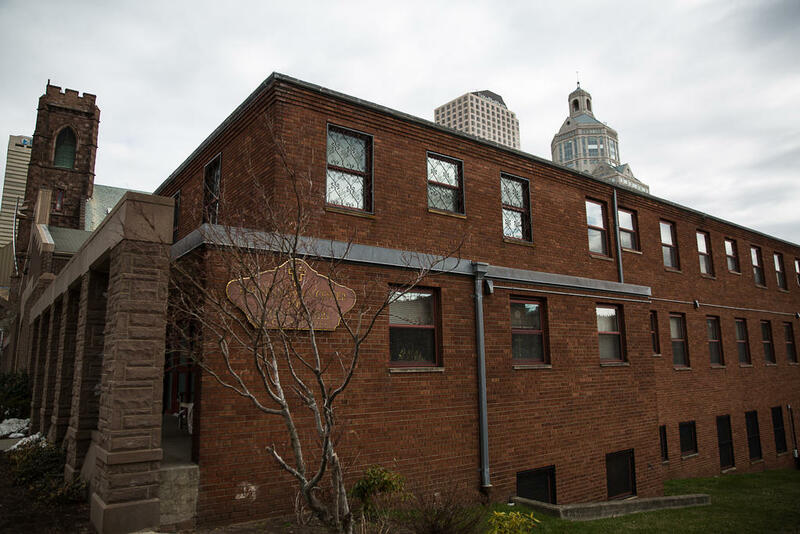 At least three families will be transitioning from the Red Roof Inn downtown Hartford to the Franciscan Center for Urban Ministry. There, they'll have a place to stay for free while they look for a place of their own. Six months after Hurricane Maria, evacuees from Puerto Rico are still looking for affordable places to live. And they’re looking to the government for help, particularly through available public housing, but they’re not getting it. Luna, his girlfriend, and their son are now living at a Hartford church center. His family has been without a home ever since Hurricane Maria ripped up their apartment in Puerto Rico. The center has given them a room with a bed and a bathroom for free until August. So they’ll be there until something better comes along. And it’ll help Luna save money for an apartment. He also has gotten a job, stocking shelves at a grocery store at night. “The job I got is not even enough to pay the whole rent,” Luna said. Even though the state and federal governments offer public housing, there aren’t units available. And the waiting lists for housing subsidies, known as Section 8, are hundreds of people long. This housing crunch is not something that’s new. “As evidenced by the year’s long wait list, most public housing authorities across the country—and especially in metropolitan areas—[there’s] a drastic need for more vouchers or for more subsidized housing for folks who qualify,” said Kiley Gosselin, the city of Hartford’s acting director of Development Services. Now, Puerto Rican evacuees throughout the country—not just Hartford—are walking into this situation. Connecticut as a whole has been given 7,000 vouchers from the federal department of Housing and Urban Development, but they’re all taken up. To get one, a person would be added to a waiting list. Some waiting lists are organized by preference. Gosselin said Hartford’s division of housing has two preferences when it comes to the waiting list. Individuals suffering chronic homelessness go first, followed by families experiencing homelessness. To be considered chronically homeless, you have to be homeless for a year or more and you have to have a serious mental illness. But for now, evacuees won’t meet that standard. So what about that second preference? Families experiencing homelessness. “Many of the folks from Puerto Rico may be or become eligible for the preferences,” Gosselin said. When families get here, they’re told to call 2-1-1 for housing assistance. After going through a network of nonprofits, Journey Home would issue families a voucher if they qualified for a preference. But first, those nonprofits would attempt what’s called shelter diversion—they’d help evacuees exhaust temporary solutions like living with family members that already have a place. 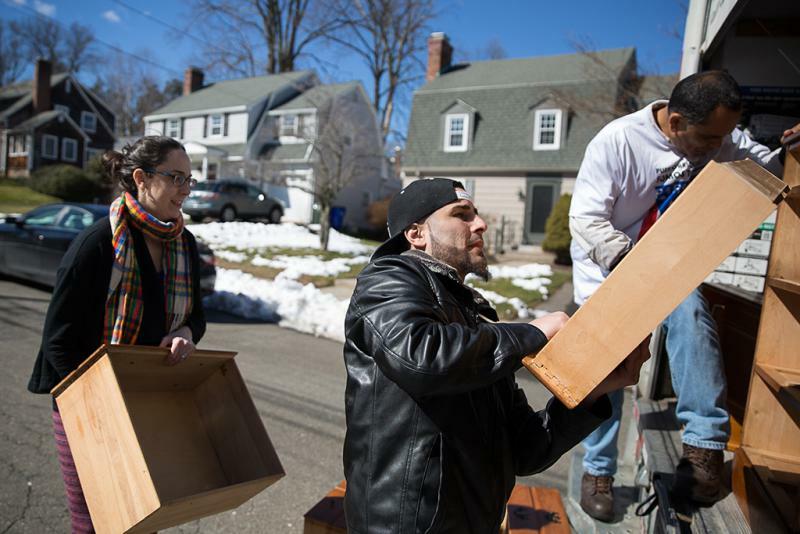 Because of how the protocol is followed, Matt Morgan, Journey Home’s executive director, said that not one Puerto Rican evacuee family has been matched to a housing voucher. 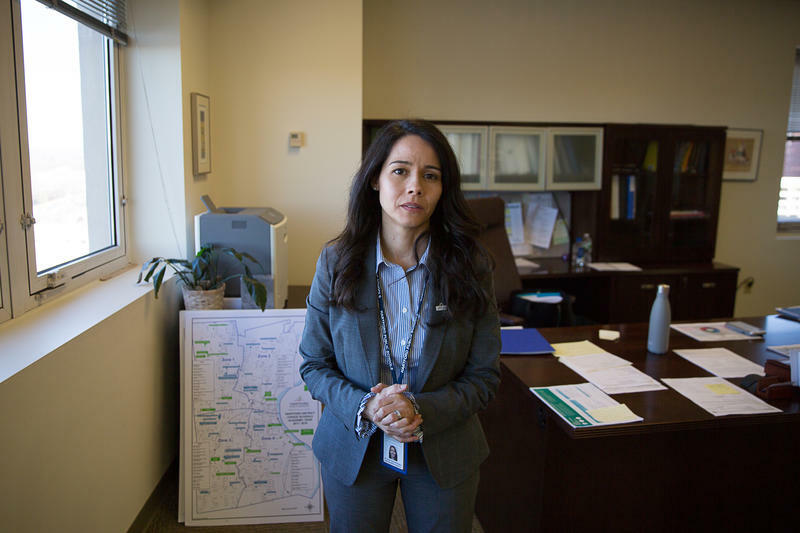 Yanil Teron, the Center For Latino Progress’s executive director, said that if our new Puerto Rican neighbors don’t get a much-needed housing boost, they won’t be able grow in their community. Luis Luna was lucky enough to get a job before he found a place. He said he does a little better than minimum wage. But that’s not going to cut it when rent is between $750 and $900 a month. “We’re really not getting the right help,” he said. Luna said he feels like the government would rather him go back to Puerto Rico than help him find his own place. But he’s staying. A two-bedroom unit at Brick Hollow in Hartford comes with a refrigerator, a stove, and a washer and dryer. Maribel Perez has five people that live with her and no money to stock her new apartment with basic furniture. It’s mid-March and Hartford Public High School teacher Bridget Allison goes over essay-writing tips for her fourth-period class. After a while, she checks in on a group of students who are seated together — a few of the evacuees from Puerto Rico.